This is the one item I’ve cooked more then any other and also one of the first things I learned how to BBQ. We stick to the basics and created true Santa Maria style marinade. 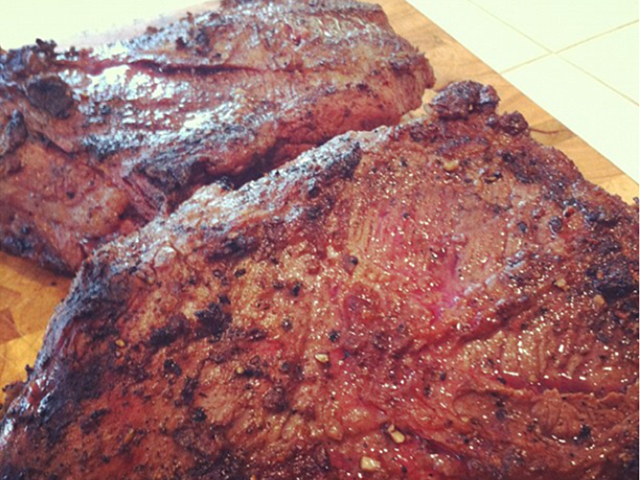 Below you will find our recipe for our award winning tri tip. Add all above ingredients excluding the tri tip to a large ziplock back and shake until well blended, set aside. Next trim the tri tip fat cap until only a small amount remains, and add your tri tip to the marinade. Place in refrigerator for 2 hours. Then set your grill to 225f degrees and smoke until internal meat temp hits 125f. Turn your grill to 400 degrees and continue to sear both sides until internal temp hits 135f. Remove and let rest for 10 min before slicing against the grain. It’s that easy.